H&M was under fire after the image of black boy modeling 'racist' hoodie went viral. It's quite amazing how many major brands still manage to miss the mark and put out tone-deaf ads or images. It's 2018 and there still appears a long way to go before this problem gets resolved. 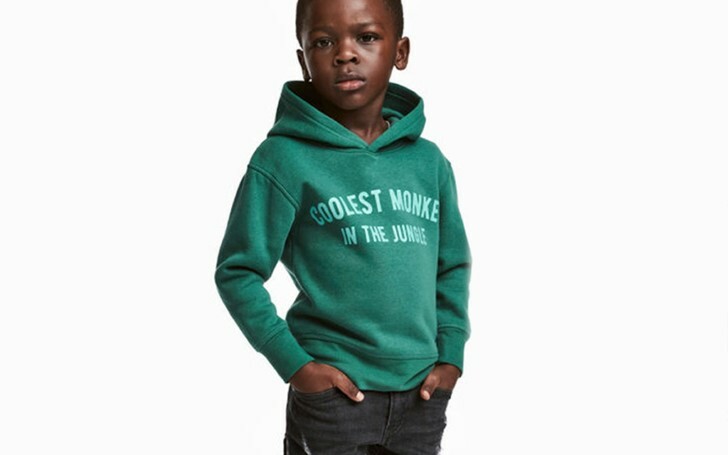 Back in January, H&M’s website featured a young Black boy modeling a green sweatshirt with the phrase "Coolest Monkey In The Jungle" printed on the front. Yes, you heard it right. A major fashion brand thought it was fine to have a young Black boy wear a hoodie with an offensive statement. You're not alone if you wondering how they let this happen! Stephanie Yeboah followed this with a series of tweets expressing his disappointment and disgust. Is this part of a publicity stunt? Do some brands want to be dragged on twitter in order to gain more visibility? Ugh. @hm have always been cancelled but I’m re-cancelling then again with zest. What makes this worse, is that I now have a gaggle of white men in my mentions telling me that there is nothing wrong with this jumper. The company later took down the image of the boy in the sweatshirt. Unfortunately, comparing Black people to monkeys has an ugly dark past. It essentially goes back centuries to dehumanizing Blacks to make them feel inferior. As a matter of fact, any sort of connotation of the word monkey, even written on a hoodie, and associated with a Black person is completely insensitive and racially offensive. As Yeboah said, ignorance is certainly not an excuse in 2018. We are unsure of how this sweatshirt actually made it through production, but it's astonishing how H&M thought it’d be a good idea to have a young Black boy wear it considering its offensive nature to the entire Black community. This appears to be a classic example of why diversity is important at every single company, in every single department, and at every single level.